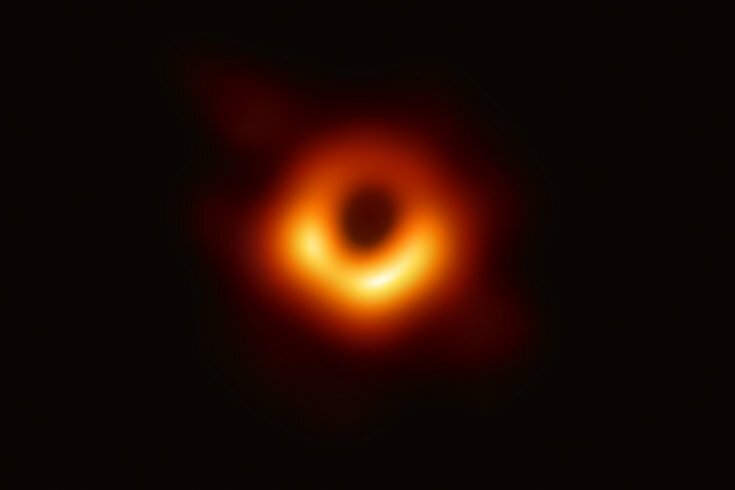 The National Science Foundation released the very first photo of a black hole on Wednesday, April 10. For the first time ever a photograph of a black hole was made public on Wednesday...and the Internet had some things to say. For more than a decade, 200 astronomers have been working together to bring the world the first black hole image. This was made possible through the Event Horizon Telescope Collaboration, a global network of telescopes. This supermassive black hole, named Pōwehi, is at the center of the Messier 87 galaxy, near the Virgo galaxy cluster, 55 million light years from Earth. It is 6.5 billion times the size of our sun. The existence of black holes was first theorized by Albert Einstein in his general theory of relativity. A black hole is a large amount of matter packed into a tiny space, creating a gravitational field so strong not even light can escape. Black holes are normally formed after the death of a large star. As soon as the image was made public, people had some thoughts on social media. Everyone sees something a little different, almost like a Roschach inkblot test. Though, wondering if it's actually an out-of-focus picture of a donut was a pretty popular theory. This Black Hole photograph. Sure... It’s an awe-inspiring, mind-numbingly brilliant piece of work by these scientists. Bravo! also me: laughing out loud about ppl calling it "forbidden donut" and "spicy onion ring"
One astronomer would like to point out she'll never forget her first love, Sgr A*, a supermassive black hole discovered in 2012. It also turns out this is where Firefox was born. This also might just be where the möth lives from all those möth and lämp memes. Or maybe this is actually Stephen Hawking's new home. Though this one makes you wonder if a new M. Night Shyamalan movie starring a black hole is possible. But in the end, maybe the black hole just wanted to get some likes on Instagram?